The National Assembly’s Select Committee on Environment has embarked on a weeklong tour of the country visiting dumpsites and other health related areas within various communities. 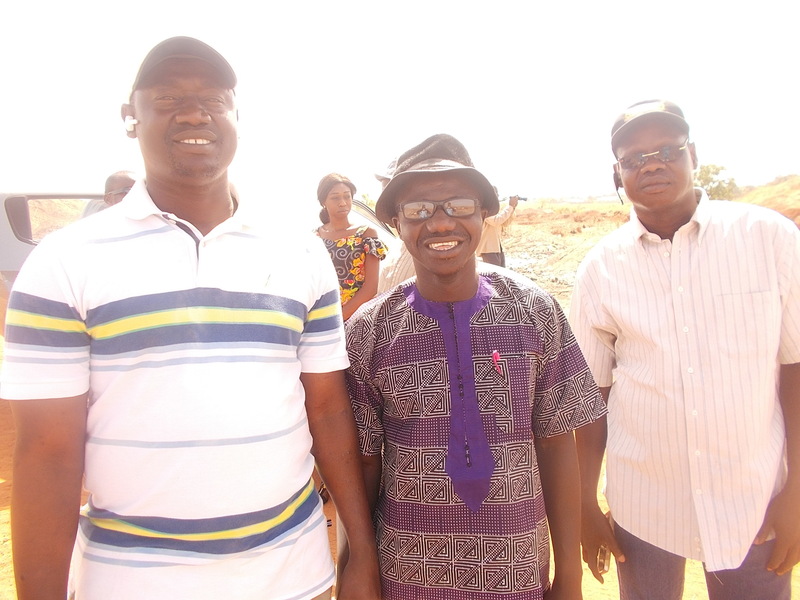 The Select Committee on Environment, Sustainable Development and NGO Affairs under the chairmanship of Hon Sainey Touray of Jarra East began the tour on Sunday with Barra serving as the first port of call. Hon Touray told a group of car park and transport organizations officials at Barra during the first stage of the site visits that it is one of the cardinal functions of the National Assembly members. “We are out to exercise our oversight functions as members of the National Assembly,” he said. He expressed dissatisfaction over a heap of rubbish dumped behind the Barra Car Park saying the rubbish is an eye sore and very close to people which also has some health and environmental disadvantages. Members of the committee who were received by officials of Kerewan Area Council were told that the council had stationed a tractor at the site to be regularly collecting rubbish as the place is just a collection centre. The official further informed that his council is constrained in terms of disposing the cabbage as the closest site for disposal is the Brending dumpsite which is some few kilometres away. The council then appealed to the Central Government for intervention as the rural councils are not rich enough to effectively carry out such functions. MPs together with the transport organization representatives called for the dislocation of the site as it is an eye sore and a health hazard. Assan Busso, the Secretary to the Barra Transport Workers Association complained that the dumpsite was too close to the car park and that the waste is not regularly collected. He also told members of the committee that apart from the dumpsite their toilets which are about seven in numbers are not in good condition. He called on the council to repair the toilets for a better environment. Busso told the committee that the dumpsite is very close to the ferry terminal which is the first port of entry to our country by visitors and seeing such a heap of waste does not tell well about Gambians. For such reasons, he argues, the site needs to be relocated to another place. The MPs’ select committee then continued their tour to Juffureh river side where fishermen told the members that the sea was eating up the land as the newly-refurbished slave house and part of the community’s rice fields were lost to the sea. They commended the FAO and UNESCO and the American Embassy for helping to reclaim part of the Slave House, James Island and Community rice fields.